All "Gravekeeper's" monsters gain 500 ATK and DEF. Cards in the Graveyard cannot be banished. 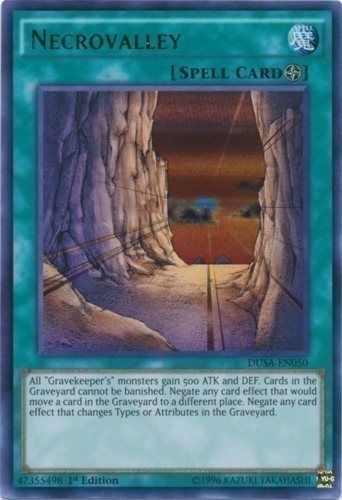 Negate any card effect that would move a card in the Graveyard to a different place. Negate any card effect that changes Types or Attributes in the Graveyard.